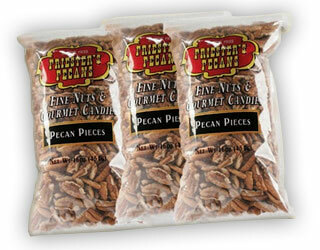 Priester's Pecans has been providing top quality gourmet products to groups like yours over 75 years. Our #1 Goal is to make sure your fundraiser with our product is the best fundraiser your group will ever do. Our ordering process is user-friendly, fast & efficient. We have organized our fundraising program into as few steps as possible, so you can spend more time raising funds and less time with forms and paperwork. Priester's makes it easy with our "No Hassle Fundraising Program". Fundraising has never been easier, more fun, or as profitable. Contact our fundraising specialists today for more information and to request your FREE Fundraising Kit! Visit our Fundraiser Resource Page to Download our Fund-Raiser Brochure, Price List, Order Form and other useful documents. Pecans last...unlike fruit or other perishable food items, if stored in the proper environment pecans can be kept a year or longer. "Priester's pecans sell like hotcakes! We have been very pleased with your pecans for thirty or more years. They are always so fresh and good." "We have purchased our fundraiser pecans from Priester's since 1998. The quality and price of the pecans is excellent and we do extremely well selling the product. In fact, we have standing orders!" "We think Priester's fundraiser pecans are great. We already have people calling us for orders. The quality is wonderful, I don't have anthing to say but wonderful! Last year we made the contacts to sell, this year they're calling us wondering when we will have the pecans again." Request Your Free Fundraising Kit Today! Interested? Simply fill out the form below or call 1-800-523-3505 and ask for our Fundraising Department. We will be glad to help you with an estimated fundraiser pricing quote to assist you in your fundraising relief effort. Always with your satisfaction in mind, the Priester's 100% product pledge guarantee on every order.